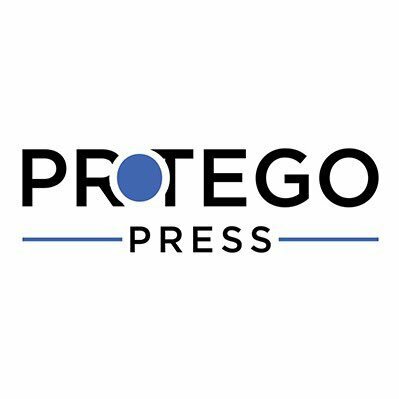 Welcome back to Protego Press, and here’s to kicking off a fantastic 2019! After an eventful 2018, we’re excited to continue to explore the intersection of technology and policy with you in the new year. Appointments in the Trump Administration. After nearly two years of being vacant, the White House finally has a top science and tech advisor. Late Wednesday, the Senate confirmed extreme weather expert Kelvin Droegemeir to the role, filling a critical seat in the Trump administration after two years. And, after struggling with tech related issues associated with its 50 year old computer system, the Department of Veterans Affairs finally has a new Assistant Secretary of Information and CIO. James Paul Gfrerer, an ex-marine and former executive director at Ernst & Young, has been confirmed by the Senate to serve as assistant secretary of information and technology and chief information officer. Developments on Capitol Hill. The ongoing cybersecurity threat posed by Chinese technology is being addressed with a new bipartisan bill. The bill, introduced by Senators Mark Warner and Marco Rubio, would create a new Office of Critical Technology and Security at the White House, and would focus on combating Chinese and other threats to protect technology across the federal government, including supply chain risks and technology theft. Net Neutrality regulations were rolled back in 2018, and Former Verizon attorney and current Federal Communications Commission chairman Ajit Pai led the charge. On Wednesday, he was on Capitol Hill congratulating Congress for upholding the controversial vote. New rules for Silicon Valley. Josh Geltzer and Dipayan Ghosh think this year Silicon Valley will be a target for the left, right and center, while Cecilia Kang, who covers tech policy for The New York Times, thinks that more tech regulation may be coming before the year is out. Backlash against self-driving cars in the heartland. While AI and self driving cars seem to be the wave of the future, in Arizona, citizens aren’t nearly as impressed. 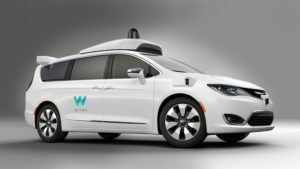 On at least 21 instances, Arizonans have attacked self-driving cars, including those operated by Waymo. Will we see other examples of attempted sabotage of automated systems in 2019? Disinformation in Alabama. The Washington Post has the latest report about a set of tactics drawing scrutiny in the Alabama special Senate race that elected Democrat Doug Jones over Republican Roy Moore. “Project Birmingham”, funded through intermediaries by LinkedIn billionaire Reid Hoffman, may well attract the scrutiny of federal investigators. Data Privacy. California continues to be the epicenter for US privacy laws, highlighted this week when the City Attorney for Los Angeles filed suit against The Weather Channel. The suit accuses TWC and its parent company IBM of duping users into providing location data which was used far beyond the implied use case of weather forecasts and alerts. While the California Consumer Protection Act doesn’t go into effect until Jan. 1, 2020, this suit highlights what is sure to be a heightened focus on data disclosure, collection and usage. What articles did you find interesting this week? What issues are you watching coming up? Let us know, at info@protegopress.com or on Twitter at @protegopress!